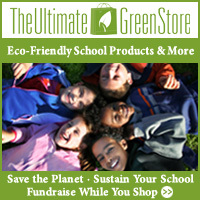 One of the most popular ways to go green is by shopping green. It’s perhaps not always done right, as people buy more than they need, but it’s usually better than ignoring the environmental impact of products altogether. Some kinds of products are more popular than others, of course. Today I want to take a look at some of the more popular green product types, what I think of them, and share individual examples. Electronics are a huge part of modern living for most people, so finding more environmentally friendly options is a big deal. Look for Energy Star ratings and EPEAT registration. Be aware that EPEAT registration doesn’t cover all kinds of electronics, but you can look at the information the manufacturer provides to decide what’s green enough for you. Familiar brands such as Dell, HP and Apple have EPEAT-registered products. EPEAT at this time appears to be mostly for computer products. 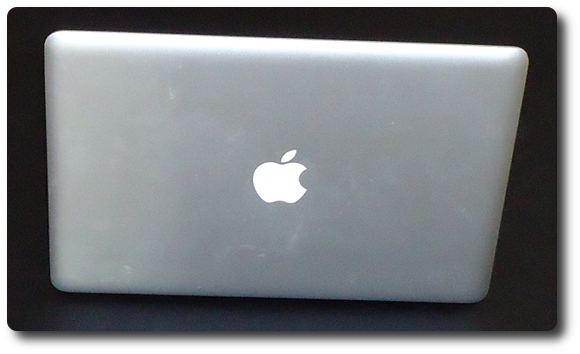 I’m quite fond of my MacBook Pro , and it’s one of Apple’s products on EPEAT, with a Gold certification. It’s a good laptop, and I love the mobility, as before I had only owned desktop computers. It has made working from my home much easier. Not everyone agrees about the benefits of organic food, but then it depends on the benefit you’re looking for. Many organizations that compare conventional and organic produce focus on nutrition, but may neglect pesticide and other residues. Organic fruits and vegetables may cost more than conventional produce, but you can get some good deals at farmers markets or through a CSA. It should end up being more local that was too. Just check to be sure you’re definitely getting organic produce. Chia seeds have become very popular as a superfood. I find that soaked chia seeds go well in smoothies and yogurt, plus they can be added to other recipes. The antioxidants in chia seeds are said to be more stable than those in flax seeds, and they’re also high in omega-3 acids, protein and fiber. Perfect for chocolate lovers, cacao powder and nibs give you a healthier way to add a chocolate flavor to a variety of treats. It doesn’t taste like chocolate on its own, however; it’s rather bitter. The nibs have cocoa butter in them, but the powder doesn’t, so be aware that there is a difference between them. I like the nibs, but not by themselves. They add an amazing chocolate taste to smoothies. On their own, cacao nibs are very much an acquired taste, but a healthy one if you can manage it. There’s no way around it – babies need a LOT of stuff. My favorite way to deal with a lot of it is handmedowns, and those can cover quite a bit of the clothing and toy needs for the first while. Sometimes even years of supplies, depending on how good a system you have going with family or friends. My youngest daughter, for example, very rarely gets new clothes because she has such an absurd amount of handmedowns, and she’s nearly 4 years old. For babies, safety is absolutely a concern, which is a part of why people like eco friendly items. It’s one way to avoid potentially harmful chemicals. I got into cloth diapers with my youngest; couldn’t convince my husband that we could make it wish sooner, and ended up wishing we had done cloth diapers all along. Saved a lot of money with them. We used Bum Genius , but there are a lot of good brands out there. Don’t forget the cloth wipes. Babies spend a lot of time sleeping (sometimes at the wrong times for new parents! ), and so you may care quite a bit about what they’re sleeping on. From the mattress to the sheets , think about your eco friendly options, such as whether the materials used will tend to offgas. Look for Certi-PUR-US certification for mattresses. Kids of all ages want toys. The trouble is how quickly the things pile up over time. Add in how often toys are plastic, and it’s not often you can call children’s toys green . I’ll readily admit to being imperfect in most areas, but especially with toys. My kids do have some handmedown and used toys, including an old Capsela set they enjoy, and a whole lot of LEGOs, most of which were my husband’s from when he was growing up. One thing I will say for those is that once in a while you can take advantage of things lasting just about forever. Bamboo is very popular right now for toys. More environmentally friendly than wood according to many, it makes some pretty nice toys. There are some nice looking bamboo toy cars and bamboo games available. Plan Toys offers a wonderful range of toys that are meant to be more environmentally friendly. They’re also fun. They have a good range of toys, including some very nice dollhouses. There’s even a little vegetable garden for the dollhouse. I have a few reusable items that are very much favorites. It’s nice being able to keep one thing rather than throwing many out. The trick here is to pick good quality – I’ve had reusable items that just didn’t last well enough for the difference in cost. My absolute favorite. I have a reusable bottle that I use every day for my water. So does my husband. My kids take reusable bottles to school rather than juice boxes or water bottles. We have saved a lot of money this was. My husband has a large Klean Kanteen he really likes. The one problem is that it doesn’t fit in the car’s cupholders, but it’s otherwise a great bottle. I much prefer stainless steel reusable bottles to plastics or polycarbonates. I’ve had polycarbonate and plastic bottles break on me, but so far no one has managed to break one of the stainless steel ones. Dent, yes, but not severely enough to matter. Rechargeable batteries can be challenging for some uses, but for others they’re wonderful. We have a nice charger that can take pretty much any size, and a stash of batteries. If the toy or other item is going to sit a lot without being used, rechargeable batteries may as well be taken out. In my experience, they don’t hold a charge for months on end for items that aren’t being used. It’s very frustrating for kids to try to play with a toy they haven’t noticed in some time, only to find out that they have to wait for the batteries to charge. Pulling the batteries on less-used toys doesn’t make them any more ready to go, but it does mean you can use the batteries for more than one thing, and you might be able to move them from toy to toy as interests demand. Published by Stephanie, in Going Green. Tagged with baby supplies, cloth diapers, food, green shopping, popular green products, reuse, shopping.